As we are all so busy our sympathetic nervous system tends to be the dominant system in the body, this is the “fight or flight” response. It increases our heart rate, directs blood to our extremities and shuts down our digestive system. Cortisol, the bodies stress hormone also elevates which increases blood pressure and suppresses our immune system. Over time, these symptoms become worse and can develop into pain, stress, anxiety, depression and fatigue. This disrupts the energy channels in the body and causes blockages of “Qi”, Acupuncture is able to unblock these channels and restore feelings of calm, happiness and a general feeling that “all is good in the world”. Many of my clients have described the treatments as “It’s like a huge weight has been lifted off my chest” or “that concrete block on my chest is gone” or “for the first time in weeks I feel I can breathe” or “I thought I was going to crack-up, I was consumed with anger but I feel much calmer now”. A good way to equate emotional buildups in the body is to compare it to a traffic superhighway, stress, anger, resentment or any intense emotions block up the system and cause a traffic jam – (blocking the free flow of energy in the body) – over years the traffic jam moves closer to gridlock until the system grinds to a halt (pain, anxiety, depression, stress). Acupuncture peels back the layers needle by needle, after each session you will feel lighter, freer and less anxious. It does this by releasing natural pain killing endorphins in the body which release stress. People frequently ask “How many treatments will I need?”, the answer is “How long is a piece of string”, however, you will see a huge improvement after one course of treatment (10 sessions) and in many instances clients keep coming regularly as it keeps their life in balance or they will go onto a maintenance programme once or twice a month. 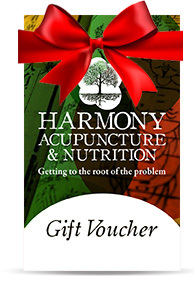 Harmony Acupuncture has had great results treating clients for stress, anxiety and depression. In addition to treating the primary condition positive side effects have included better sleep, more restful sleep, fewer headaches and an overall sense of wellbeing. I have not taken my medication in 9 days and am feeling good.